Balsam bed and breakfast travel guide for romantic, historic and adventure b&b's. 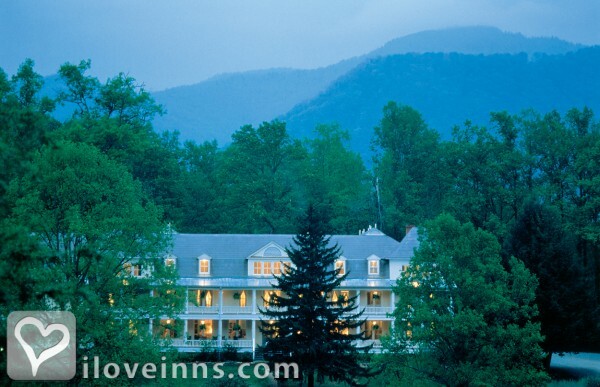 Browse through the iLoveInns.com database of Balsam, North Carolina bed and breakfasts and country inns to find detailed listings that include room rates, special deals and area activities. You can click on the 'check rates and availability' button to contact the innkeeper. People into freshwater fishing consider Balsam a prime fishing area. This community is surrounded by a number of rivers said to be teeming with fish. Balsam bed and breakfast inns will point you to CCS Fly Fishing Outfitters and Smoky Mountain Fly Fishing. Shopping for antiques is fun at Barber's Orchard Antique Mall, That Woods Auction and Antique Mall, Moose Crossing Antique Gallery, and Balsam Antique Mall. With all the beautiful natural sights around, it is almost impossible not to go hiking here. Among the best trails are those in Blue Ridge Parkway, Pisgah National Forest, and the Great Smoky Mountains National Park. Great views are at nearby Waterrock Knob and Pinnacle Park. By Balsam Mountain Inn.